Born at London, England on 14 November 1901, he emigrated to Canada with his family in 1911, settling at Dauphin where he received his early education. He studied law with Frank E. Simpson and at the Manitoba Law School and, following graduation, articled with the Winnipeg law firm known later as Aikins, MacAulay & Thorvaldson. In 1940 he joined the Armed Forces, first training with the infantry and later transferring to the Judge Advocate General’s Branch. He served as Corps and Army Headquarters in Europe and was awarded the Order of the British Empire, ending his military career with the rank of Colonel in 1945. Following the war, he rejoined his former firm and was made a King’s Counsel in 1947. He was appointed a Justice of the Court of King’s Bench in 1952 and was raised to the Court of Appeal in 1957, becoming Chief Justice in 1962, holding that position until his retirement in 1973. He also served as a Bencher of the Law Society of Manitoba (1951-1952). 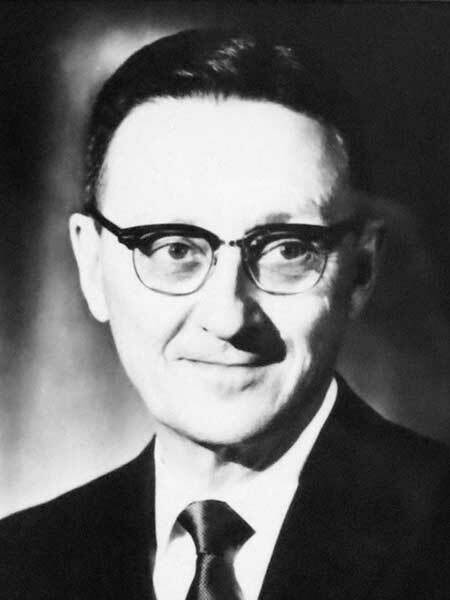 In 1979, he chaired an inquiry into the operations of Manitoba Hydro which found that improper planning, coupled with government interference, had cost the public millions of dollars. He was one of the founding trustees of the Fort Whyte Nature Centre, supporter of the Western Canadian Aviation Museum, and founding board member of the Manitoba Centennial Corporation. He served as Chairman of the Board of the St. Paul’s High School. His hobby was flying small aircraft and he was an Honorary Life Member of the Manitoba Club. He died at Winnipeg, unmarried, on 16 April 1993. “Three KC’s appointed,” Winnipeg Free Press, 1 January 1947, page 1. Obituary, Winnipeg Free Press, 20 April 1993, page 31. “‘Dynamic judge’ remembered,” Winnipeg Free Press, 21 April 1993, page 19.